Are you update with the modern lingo or pretending to be, ignoring it and burying you head in the sand? Environment, Sustainability, Partnerships and Networks important buzz words being thrown about creating as much opportunity for those that have grasped it but more than an equal amount of smoke and misunderstanding for those who don't. How your organisation is handling these buzz words now has a major impact on credibility and reputation. The methodology behind an organisations statements in managing these buzz words is critical, there are lots of organisations all sizes writing, saying and “spinning” what everyone wants to hear about these topics but failing miserably to deliver any where near their policy statements. The pace in which the Environmental & Sustainability developments have rightfully taken hold of our lives has meant skills gaps and misunderstandings in how to meet modern expectations in achieving them. Knowing what to do, where to start, how to structure and communicate these buzz words is difficult especially for SME sized organisations who are less likely to be able to dedicate resources to adopt and implement necessary changes. Many are either burying their heads in sand, or plagiarising other organisations policies without clear methodology or structures behind them and unaware of the damage they're making of their credibility and reputation. Getting an organisation's Environmental & Sustainability policies or statements to add value and growth is not about great “spin” words but how you show that these words are being implemented. The purpose and philosophy of Environmental & Sustainability policies is all about the impact and diligence outside your direct surroundings. Diligence includes customer lines, supply chains, environment, business and its employees; which has naturally lead to the revival of business networking and partnerships. The development of modern partnerships are with suppliers and similar client non-competitors (like a solar panel company partnering with a roofing company) each fantastic and easy solution areas whilst fundamental focuses to develop the necessary methodologies for Environmental & Sustainability policies. 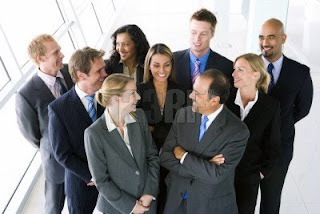 Modern networking is realistically partnerships as well, partnerships that assist sales and resource opportunities – a blog area I'll be commenting about shortly in Sales & Strategic Growth. Consumers are experienced to the hard cold corporate “spin” either form their work place or as a customer and are now choosing their purchases with businesses that can show (not talk) their acclaimed credibility & reputation. They're driven and influenced by the Environmental policy & Sustainability policies of organisations which provides opportunities for those who act, take the time and look to adopt Environmental & Sustainable focuses and develop good methodologies with dedicated reviews and schedules. Promoting an organisations policies is not enough, communicating and making available statements and methodologies is an absolute - done properly it can create growth and opportunities through consumers as well as open doors with new partnerships. In conclusion, being known as “responsible” is strong PR that includes activities and principles towards environment, employees and overall business practices. Good environmental practices will add value and growth to an organisation through savings whilst creating further opportunities and growth through partnerships as businesses team up to support each other in becoming more responsible. Get to know more about environmental policies and how to develop and implement effective methodologies visit www.sphereuk.net/eco. A FREE brochure on easy environmental saving ideas is available. We're most definitely in the age of technology & responsibility both for environment & employment. Yet there are many who haven't grasped that this age is here or realised it's here to stay. Responsibilities towards the environment, work and employment are changing and these changes are reshaping general business practice. The reshaping is really the revival of employment responsibilities but now includes the environment and it's deeper aspects - making this new age simply Corporate Responsibilities. Over the past 3 decades employment attitudes & trends has had some distinctive changes between employees & businesses that have shaped our beliefs about work ethics, loyalty and career development. For a long time up to the 80's was a time where loyalty between both businesses and employees were clearly noticeable, almost a job for life. In the late 80's & early 90's businesses shifted their expectations, to their “self attitude” where employment demanded loyalty & meant work came first, family second with little if any loyalty returned to the employee. Then the late 90's & early 00's saw another shift in the loyalty expectations balance with employees adopting the same “self attitude” businesses had conveyed in the early 90's. The attitude resulted in employees focusing on 2 to 3 years in any one position & if promotion wasn't available they'd find it else where. We're now moving into the 2000 teens where change in the loyalty balance is happening again - modern businesses are putting back what they lost in their employees and embracing schemes to support and drive loyalty. This development and change hasn't been a sudden brain wave in corporate thinking but more a biproduct of organisations focusing on the environment and sustainability. In the development of modern and lateral thinking about being responsible towards the environment, it has been recognised that sustainability and longevity also includes employees. The employees link into sustainability & longevity has added a more rounded or tangible value to Corporate Responsibility - being known & seen as responsible is the modern PR, working wonders at reducing staff turnover (employee retention) & increasing employee performance & over all profitability; extending to increased credibility & it's associated growth – a blog area I'll be writing about shortly. However I recognise the achilles heal to staff turnover, productivity & profitability will always be Leadership Vs Management. [a] illustrating acknowledgment where work fits into an employees life – very few people exist to work. [b] an organisations culture & leadership style will impact staff morale daily – influencing employees opinions more than any rewards or recognition can remedy. [c] understand where you're organisation can support your staff personally – utilise the business through employee incentives & benefit packages to defer taxes enabling an employee to achieve their lifestyle easier (view www.sphereuk.net/incentives for more details). [d] work recognition – strongly associated and covered with good leadership but at times easily forgotten. [e] open communication – strongly associated with culture, drive gossip & rumours out of your business by proactively and openly communicating what's happening in the business. For those that might still be unconvinced note that the longevity of a business is through the quality of the people in the business. Consider everyone can sell your organisation because everyone knows someone & socially everyone asks what people do for a living. If an employee speaks positively and enthusiastically when asked about their living, the person & the business are likely to be remembered. "Adding value through your employees" is simply adding employee incentives, benefit packages & rewards to your business – a modern fast growing practice in becoming recognised as a "responsible employer." Get to know more about how to implement these schemes FREE and how easy they are to set up visit www.sphereuk.net/incentives. Part 3: The Jewel in your crown that is your Customer. To recap in PART 1 I highlighted that a heavy focus on targets leads the business away from what it was intending; in PART 2 that business success from sales leadership is simply the consistency in results it delivers. However there's one area I've left unmentioned that many businesses get distracted from and in some cases have lost the skill with. 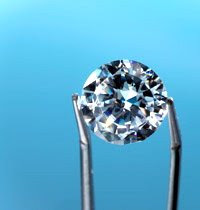 This jewel and the growth in your business with Sales Leadership is about leading both the “customer” and the business. It's not the sales process, conversions or cycle but simply knowing your customer. The reason I call it the jewel is that the 30% growth you want in your business can come from the people you already know. Ever heard the phrase “I can't see the wood for the trees” if not then remember it as a key phrase to remind you and your team about leading the customer. Knowing your customer has three areas [a] the potential in each customer, [b] leads through their networks & recommendations and [c] lost business. To conclude maximising these three customer areas you'll get the consistent growth in your business. Lost business is one everyone avoids yet its the easiest to get growth. The reasoning is straight forward, new business is a relationship from scratch and time required to build it– lost business is a relationship that can be fixed. They already know you, your capabilities and potentially still have an account with you. There's cases where time is needed to mend bridges but in most cases they left for a combination of small things. To conclude lead your customers to your growth and lead your sales teams to lost business; and deliver effective Sales Leadership by bringing out the best in people and encouraging them to work for the best reasons, whilst it includes easy achievable goals with a focus on profit margin that is flexible and allows for organisational change or circumstances. I'd be very interested to hear your thoughts: was it thought provoking? is it what you expected? possibly I could help with a query, or a sales come sales teams issue you're facing or involved in? Do you recall the old fashioned saying, “Revenue for Vanity, Profit for Sanity” - it's worth remembering if you don't as businesses can go bust with large revenue, I've not heard any do the same with large profits. In my mind and from experience, if profit margins on a product is not at least 3% above standard banking interest rates it's not worth the sale. The reasoning is quite simply the working capital used to process the product or service would have gained an equal return if left in the bank; therefore activities in the business would have been best spent else where. That is not to say I don't recognise there are situations where getting some money back is better than none, as at times its more costly to have a product line or service down than selling low; however each of these exceptions are results of poor sales & strategy. Many businesses go to great lengths developing their budgets each year, which are segmented into 12 financial performances. The problem is little or no thought is given about what steps are needed to make the performance a reality. In budgeting for growth reviews in departments, processes and practices is a critical aspect as the requirements and expectations for a £1m business are completely different to a £9m business. To account for this I personally use a 100 day plan and multiple targets (I've got a Sales & Strategic Growth blog coming out shortly, in it I explain the 100 day plans). The principle of having multiple targets is to measure and reward performance not only on finances but projects I've tasked (personal objectives), performance targets (KPI's) and goals (the budget and financial aspect). From experience I've found sales teams respond better to these principles of sales leadership as it keeps them focused on each performance area. If for what ever reason individuals miss out or results are going to fall short in an area, such as budget error, budget adjustment and/or other general circumstances they don't get demotivated because they can still achieve something and get rewarded (the flexible part). Obviously if all areas are failing with a team member then that needs to be addressed. The business success from sales leadership is simply the consistency in results it delivers apposed to what many businesses experience - see-saw sales results or yo-yo sales performance due to motivation or circumstance issues. I'll have Part 3 available tomorrow but in the mean time I'd be very interested to hear your thoughts: was it thought provoking? is it what you expected? possibly I could help with a query, or a sales come sales teams issue you're facing or involved in? Many businesses are feeling the squeeze, some believe micro-managing their sales targets is the key, others think the finance department have the solution & some are set on micro-managing everything and cutting costs; but in most cases they would be looking in the wrong direction. My point is simply most businesses operate leanly & cutting even more corners to the majority of businesses is not the answer; infact it compounds the problem. How many times can you cut the corners of a square before it resembles or becomes a circle? The first step to surviving hard times is to actively manage your business. The problem is many mistake this to mean micro-managing the business. I'd challenge anyone to find someone you know who likes being micro-managed. Micro-managing is an imploding activity & a result of poor performance generally from a wrong strategy, leadership or general management to begin with. Think for a minute then of a business & everyone within it were performing well, the market still needs the business but everyone's under financial pressures. 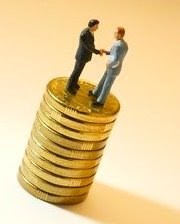 The solution to the business surviving these pressures is the how the business is perceived & valued in the market. The elements to surviving & growing in these times are Cash Flow, Maintaining Sales & Communication. Some might be thinking of the Finance Department as the solution but they can't collect cash when payments stopped due to a query in the service. The Finance Department can't control stock levels & cash caught up in it because purchasing agreements are at certain volumes for efficient production. The Finance Department could delay payment on suppliers but that's short lived. In addition no-one likes a later payer & becoming notoriously late usually means the business needs more stock to maintain operations as order fulfilment drops to late payers with potential order shortages due to account stops etc. 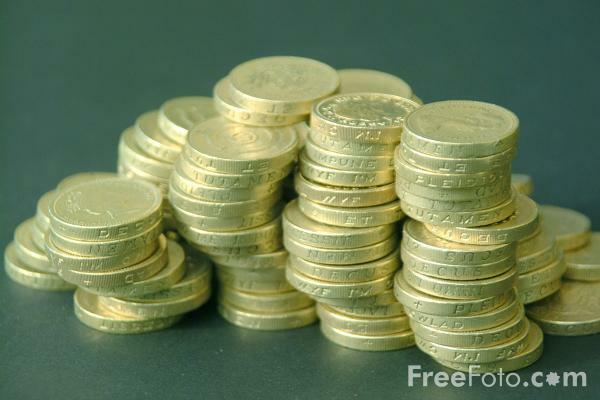 The Finance department can help but on their own they can't affect cash flow substantially. My point is the Sales Force is the strongest department in tough times & it's not about mirco-managing them and their targets. The Sales Force impact the businesses perception in the market, they're the front line to the customer & hold the relationships to surviving hard times. Maintaining Sales is about continuing the level of sales as much as possible, reducing your Debtors & sending out positive messages. If there's a service issue making a payment query, the Sales Force is the right department to handle it. The business needs to find more commitment from customers, such as raising minimum order values or shorter customer payment terms; the Sales Force is the right department to handle it. The view & strategy that really bothers me is cutting the Sales Force in hard times, though I recognise in certain circumstances its required. In mostly situations this happens because the business focus is inwards with a belief of cutting overheads & riding the storm with existing sales. This behaviour has little thought to the Communication & signals this sends out to the market. If a business has a high turnover of staff, specifically in a field sales type roles the perception in the market is that the business is a poor employer, struggling, not to mention the lose in customer relationships and knowledge. Such a practice can't control market perceptions it creates because no-one's there long enough for the customer to have any integrity with. Remember some of the old sales phrases: “ring fence your customers” & “when you're not talking to your customers, some else is.” - I believe they've lost their meaning and value. To conclude be close to your customers through your Sales Force to increase your cash flow, don't micro-manage, communicate to maintain sales. I'd be very interested to hear your thoughts: was it thought provoking? is it what you expected? possibly I could help with a query, or a sales come sales teams issue you're facing or involved in?